Solar flare is one of the causes of electromagnetic interference and affects aircrafts' routes. We developed Deep Flare Net (DeFN) based on ResNet and achieved the world's highest performance. The experimental results are shown in this paper. We published the source code of Deep Flare Net. Please use the following git command to download it. The package contains a readme file, which explains how to reprodoce the results. For more information, please take a look at this GitHub page. Rospeex is a cloud-based speech communication toolkit for ROS (Robot Operating System). It supports speech recognition and speech synthesis in 10 languages. You can write a simple dialogue function with only 10 lines of codes in Python/C++. Rospeex has two versions: Rospeex On-Cloud and Rospeex On-Premise. Rospeex On-Cloud was available for free from September 2013 to September 2018, and was used by over 50,000 unique users. Rospeex On-Premise is for the cases where network is unavailable or end-users data are not allowed to be sent via internet. We issue its license through third-party companies, please contact us if you are interested. Licensed users can connect Rospeex servers with the source code available at this Bitbucket page. In the GPSR test, the order of the task is not predefined. The task is randomly given on site as a speech command, which is a complex sentence. The sentence generator 2010 generates random commands according to defined grammar. ●Go to the back door, grasp the chips, and bring it to the armchair. ●Go to the dining table, introduce yourself, and leave the apartment. ●Find a person, bring the yoghurt from the closet, and leave the apartment. These databases can be used for testing your robot's speech recognition system. 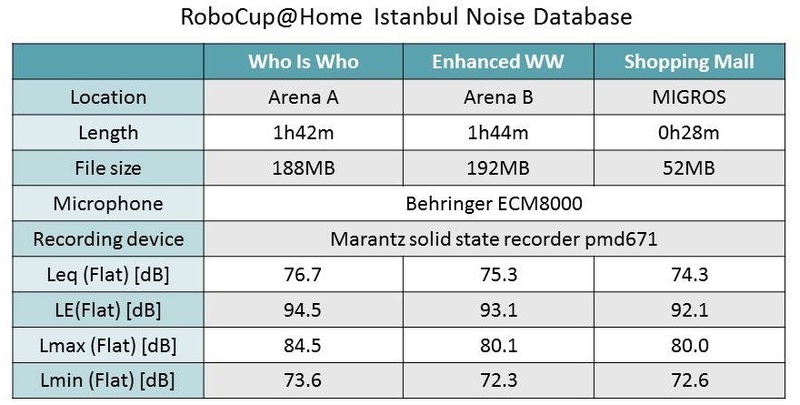 Play these files at 75dB (very noisy) and you can simulate noise conditions at typical RoboCup@Home environments. Our cloud-based speech recognition service is also available for non-ROS users. ●Academic use only. If you'd like to use this service for commercial purpose, please contact me for licensing information. You can try our cloud-based speech synthesis system here. ●INCOMPATIBLE with IE/Safari. Compatible with Firefox and Google Chrome. iPhone App "Kyo no Osusume"
Discover your own Kyoto in a unique way with Kyo-no-Osusume! Just let it know what you feel like and/or what about Kyoto you want to experience. It picks recommended destinations for you based on a questionnaire database from 4000 people. Last Modified: Nov 27, 2018.